The Trusted Companion for over 500,000 Fortnite Players! - Drop-In has EVERYTHING you need for Fortnite - LIVE ITEM SHOP! - Always know what's in the Item Shop! Free opt-In notifications for when new skins arrive! LEAKED SKINS & FUTURE ITEM SHOP - See Leaked Skins before anyone else! Always know what's coming to the Item Shop! GET BETTER & HAVE MORE FUN! - The Drop-In Wheel helps to improve your skills and makes Fortnite games even more Fun! NEW SKINS DATABASE - Find every Skin and Item In Fornite! NEW COMMUNITY SKIN RATINGS ( 1-5 Stars ) -Rate Your Favorite Skins and See how The Community Rated them! 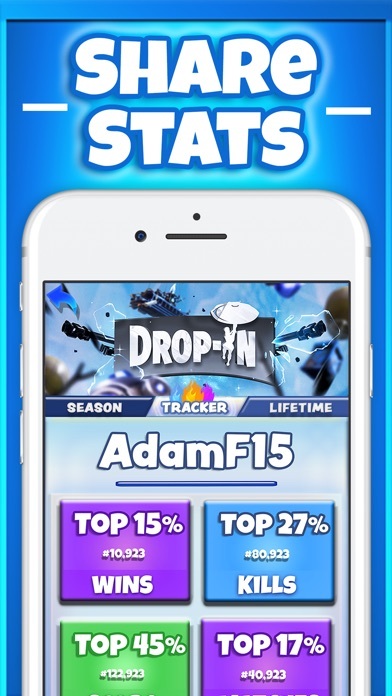 STAT TRACKER & RANKING SYSTEM - Easily Tap to Share Player Stats! Look up you or your friends Stats! 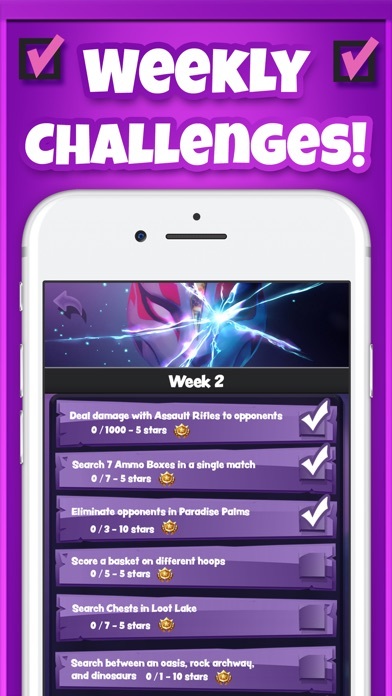 CHALLENGE TRACKER - Track your Weekly Challenges to help complete them faster! HD MAPS, NEWS, & ANALYSIS - Pinch and Zoom HD Maps, showing Chest, Rift, Vehicle and Llama locations! Live News and Analysis! *********** PERFECT FOR ALL GAME MODES - Solo, Duo, Squad and other LTM Modes! AMAZING FOR YOUTUBE CONTENT AND STREAMERS - Add excitement to your streams or YouTube content. (Many streamers have had great results) MAKE FORTNITE MORE ENJOYABLE -The Randomizers are the perfect twist to make Fortnite more exciting! They also help to prevent getting "burnt out" during long game sessions. ****** All Features Including Pro - *Drop Location Randomizer (Touch Sensitive) *Challenge Randomizer (Touch Sensitive) *Live Item Shop! *Complete Item Database *Live Skin Rating System! *Player Stats Tracker! 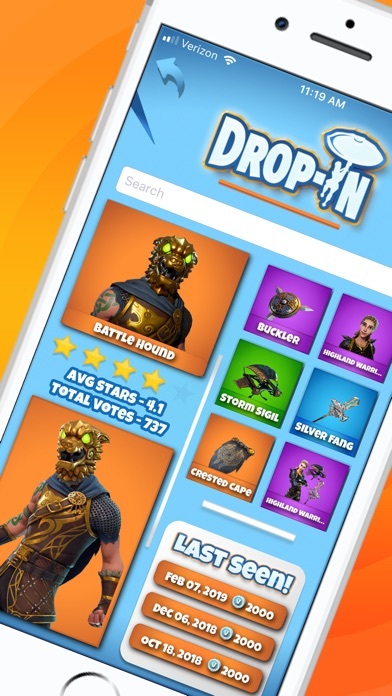 *Tap to Share Stats and Rankings* *HD Season Map (Pinch & Zoom + Rifts and Vehicle Locations) *HD Chest Map (Pinch & Zoom)! *Weekly Challenge Tracker! *Worldwide Leaderboard* *Loot Llama Hot Spot Map *Locational Analysis Button. (For Quick in game reference) *The 3 Step Process* 1). Spin the Wheel when you or your squad enters the Battlebus. 2). Wherever the The Drop-In wheel lands is now your new target drop location. 3). Complete the challenge and Go for the win! Why Should I Spin the Drop In Wheel? 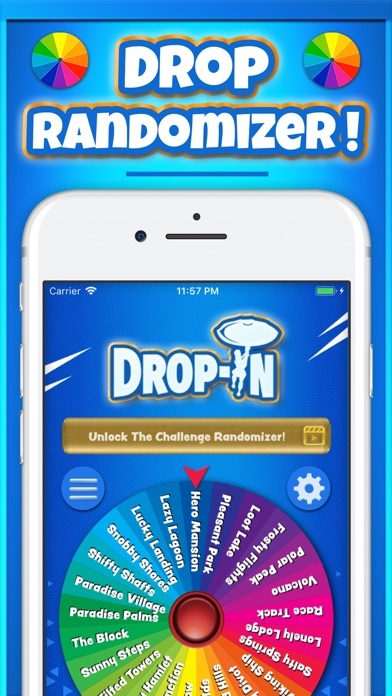 -Drop In Wheel was created for every player, regardless of their skill level. -It adds spontaneity to the drop-in decision making process which can grow tedious game after game. -The Drop In Wheel is also an educational tool that can help improve your overall game-play. -Every Fortnite game ends at a different location on the map. Therefore, knowing the entire map in detail, is a critical aspect to winning and improving your game-play. 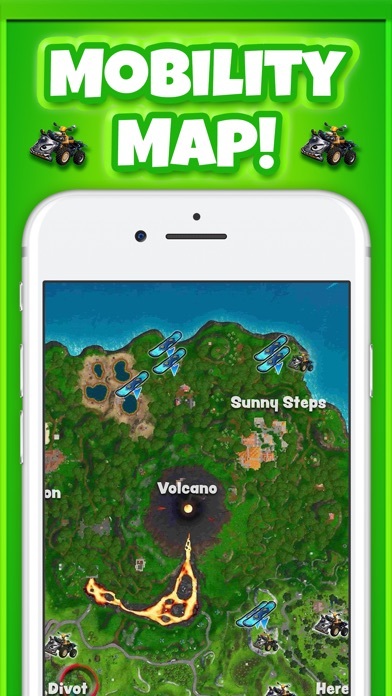 -Instead of dropping into the same few spots game after game,the wheel allows players to quickly and naturally learn the entire Fortnite map. 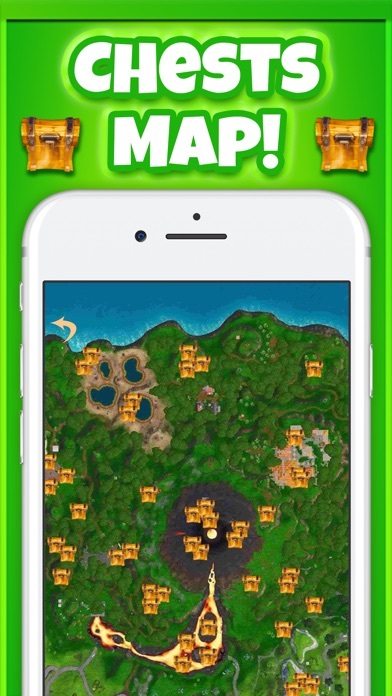 The new gold challenge bar, chest and hot spots map, location analysis, Stats, Secret shop and Challenge Tracker are all part of the In-App purchase package $2.99. However can be accessed for free via Reward Videos. This is to help support future updates. ------------------------------------------------------------------------------------------------------- *Message From The Creator* I created Drop-In because my friends and I found ourselves going to the same spots over and over again. But when someone said, "Alright where are we dropping?" No one wanted to call a place out. Then, once someone finally called out a place, it would always be one of the same four locations. Drop-In has definitely extended our gaming sessions by just making each drop less repetitive. We've found ourselves getting less "burnt-out" during long squad sessions. Good luck and happy gaming! 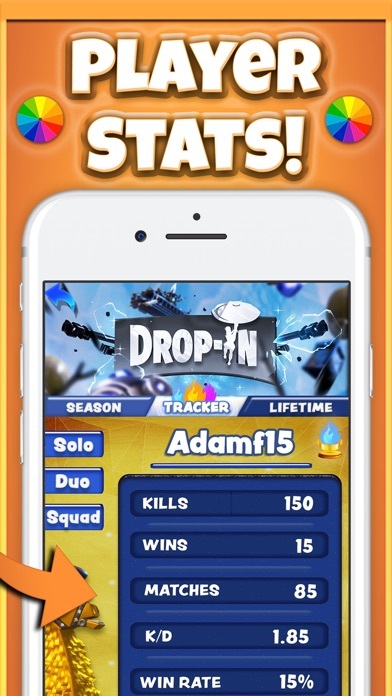 -Adam Disclaimer *This app is not affiliated with or endorsed by Fortnite, Epic Games, or any of his partners. All credit goes to the Fortnite Developers and Designers.Portions of the materials used are trademarks and/or copyrighted works of Epic Games, Inc. All rights reserved by Epic. This material is not official and is not endorsed by Epic. Usage for this educational guide falls within fair use guidelines. 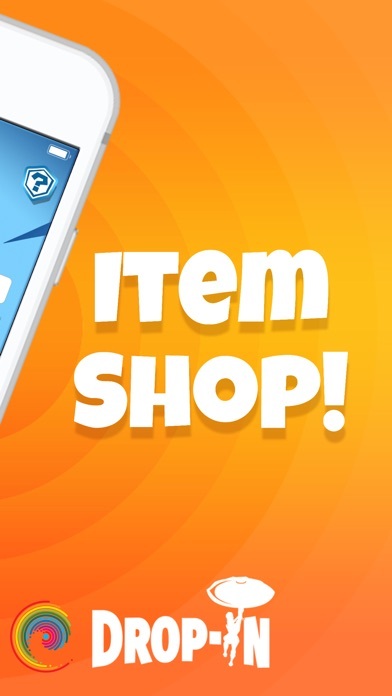 It’s a great Fortnite app for when you want an instant item shop and location spinner, but there are WAY TO MANY ADDS!!! Now, if it was like an add a minute, then it would be different. But I was using it earlier, and it gave me an add EVERY THIRTY SECONDS!!!! Honestly, it’s a great app, but cut down on about half of the adds. Fab app... not an obsessive amount of adds and a bunch of features! Loved the app till this new update made it impossible for me to go into the database or upcoming shop:/ pls fix it! 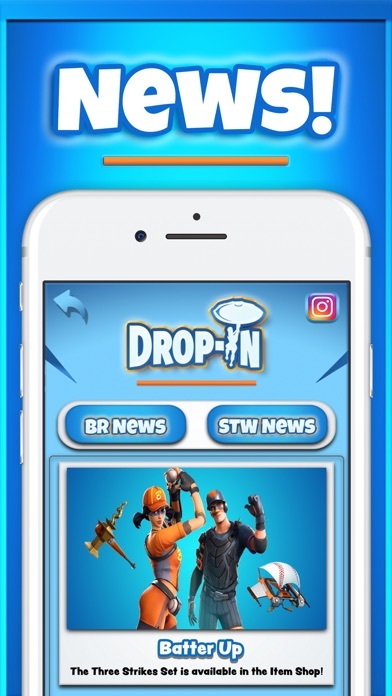 Other than that... this app is a go to for all fortnite lovers! I’m not so sure if the new update makes it better than ever. Now I don’t know if the update is “complete” but I can’t access the future item shop, and I purchased pro before the update. I’m not sure if the update is still a work in progress despite its release, just please fix it. Great app though, really love it!